As negotiators and ministers from the United States and 11 other Pacific Rim countries meet in Atlanta, Georgia, in an effort to finalise the details of the sweeping new Trans-Pacific Partnership (TPP), some sober analysis is warranted. The biggest regional trade and investment agreement in history is not what it seems. 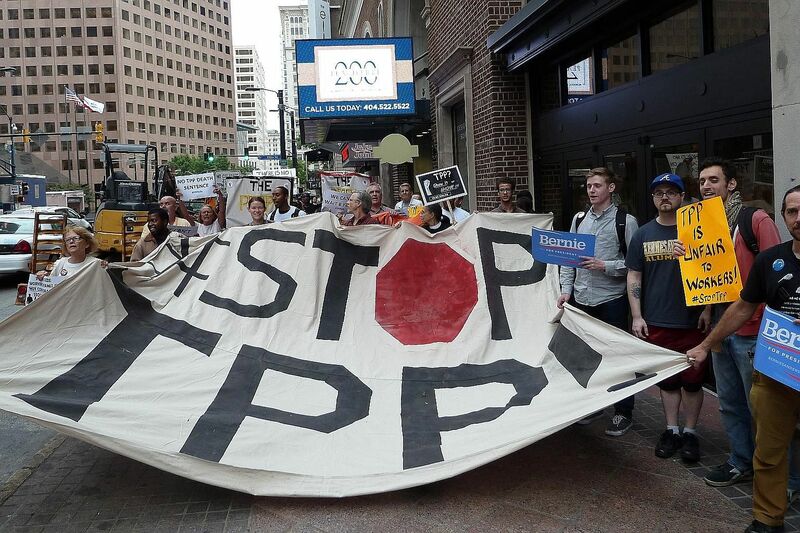 You will hear much about the importance of the TPP for "free trade". The reality is that this is an agreement to manage its members' trade and investment relations - and to do so on behalf of each country's most powerful business lobbies. Make no mistake: It is evident from the main outstanding issues, over which negotiators are still haggling, that the TPP is not about "free" trade. For starters, consider what the agreement would do to expand intellectual property rights for big pharmaceutical companies, as we learnt from leaked versions of the negotiating text. Economic research clearly shows the argument that such intellectual property rights promote research to be weak at best. In fact, there is evidence to the contrary: When the US Supreme Court invalidated Myriad's patent on the BRCA gene, it led to a burst of innovation that resulted in better tests at lower costs. Indeed, provisions in the TPP would restrain open competition and raise prices for consumers in the US and around the world - anathema to free trade. The TPP would manage trade in pharmaceuticals through a variety of seemingly arcane rule changes on issues such as "patent linkage", "data exclusivity" and "biologics". The upshot is that pharmaceutical companies would effectively be allowed to extend - sometimes almost indefinitely - their monopolies on patented medicines, keep cheaper generics off the market, and block "biosimilar" competitors from introducing new medicines for years. That is how the TPP will manage trade for the pharmaceutical industry if the US gets its way. Similarly, consider how the US hopes to use the TPP to manage trade for the tobacco industry. For decades, US-based tobacco companies have used foreign investor adjudication mechanisms created by agreements like the TPP to fight regulations intended to curb the public-health scourge of smoking. Under these investor-state dispute settlement (ISDS) systems, foreign investors gain new rights to sue national governments in binding private arbitration for regulations they see as diminishing the expected profitability of their investments. International corporate interests tout ISDS as necessary to protect property rights where the rule of law and credible courts are lacking. But that argument is nonsense. The US is seeking the same mechanism in a similar mega-deal with the European Union, the Transatlantic Trade and Investment Partnership, even though there is little question about the quality of Europe's legal and judicial systems. To be sure, investors - wherever they call home - deserve protection from expropriation or discriminatory regulations. But ISDS goes much further: The obligation to compensate investors for losses of expected profits can and has been applied even where rules are non-discriminatory and profits are made from causing public harm. The corporation formerly known as Philip Morris is currently prosecuting such cases against Australia and Uruguay (not a TPP partner) for requiring cigarettes to carry warning labels. Canada, under threat of a similar suit, backed down from introducing a similarly effective warning label a few years back. Given the veil of secrecy surrounding the TPP negotiations, it is not clear whether tobacco will be excluded from some aspects of ISDS. Either way, the broader issue remains: Such provisions make it hard for governments to conduct their basic functions - protecting their citizens' health and safety, ensuring economic stability and safeguarding the environment. Imagine what would have happened if these provisions had been in place when the lethal effects of asbestos were discovered. Rather than shutting down manufacturers and forcing them to compensate those who had been harmed, under ISDS governments would have had to pay the manufacturers not to kill their citizens. Taxpayers would have been hit twice - first to pay for the health damage caused by asbestos, and then to compensate manufacturers for their lost profits when the government stepped in to regulate a dangerous product. It should surprise no one that America's international agreements produce managed, rather than free, trade. That is what happens when the policymaking process is closed to non-business stakeholders - not to mention the people's elected representatives in Congress. • Joseph E. Stiglitz, a Nobel laureate in economics, is professor at Columbia University. Adam S. Hersh is senior economist at the Roosevelt Institute.